On our home page (www.ssgs.ca), click on “Log In”, found at the top of the page. Leave the Username & Password fields blank. Click on “Lost Password”. 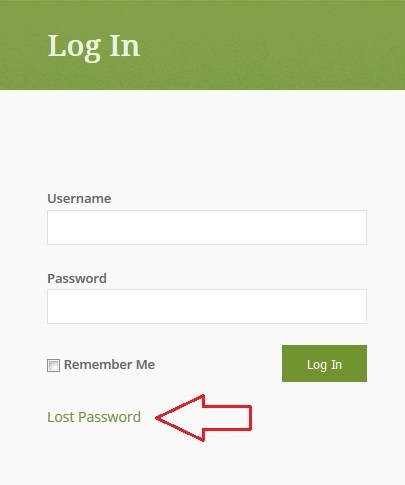 Type your Username or email address into the indicated field then click on “Get New Password”. A password reset email will be sent to you. Note: The username or email you enter much match the info we have on file for you. If in doubt, contact us for confirmation. 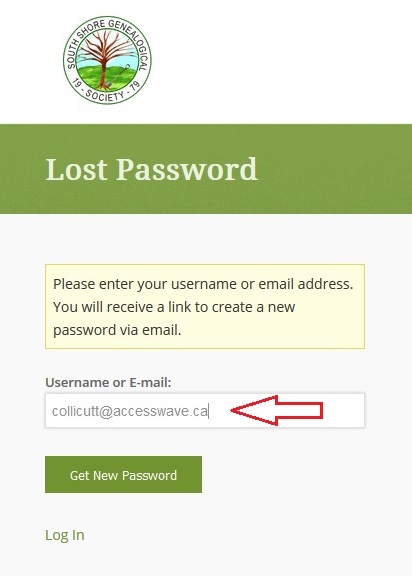 A password reset email from office@ssgs.ca provides you with a link (see red arrow) to take you to the reset page. Click on the link. Note: Your username is also included in the email. In this example, it’s outlined with a red box. 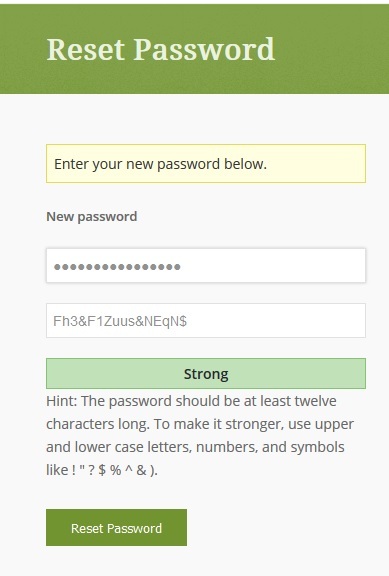 A system generated password is ‘offered’. 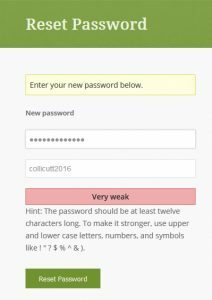 We don’t need a very strong password – we’re not accessing/storing confidential information. Use your ‘backspace’ key to remove the dots in the upper box. As you do, you’ll notice the revealed password disappears in the lower box. 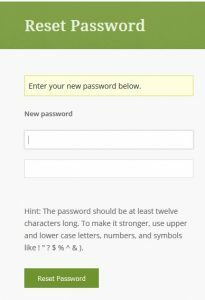 Whatever you type in the upper box (your hidden password) is shown in the lower box (your revealed password). You should now have a reset box that looks like this. 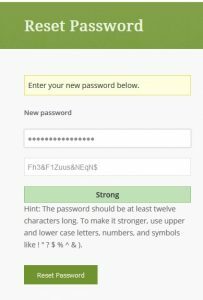 You can now type in whatever password you choose. You can review the lower box to ensure what you’ve typed is what you want. 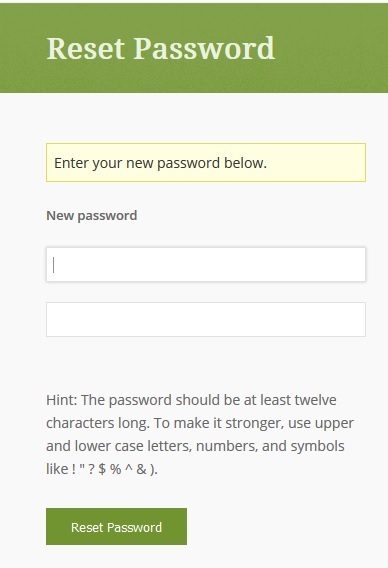 Write your new password down somewhere so you won’t have to repeat this process anytime soon ! 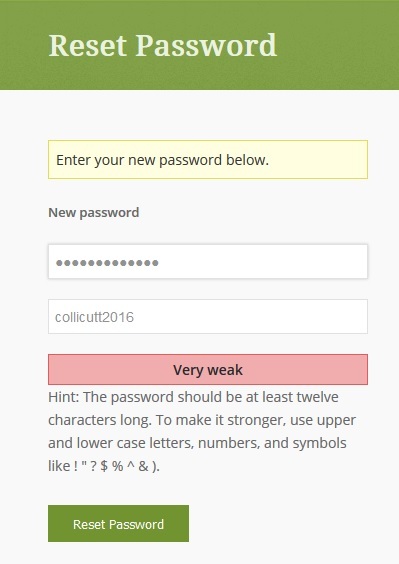 In my example, the system has flagged my password as “very weak”. Again, we’re not banking here so a weak password will be fine. 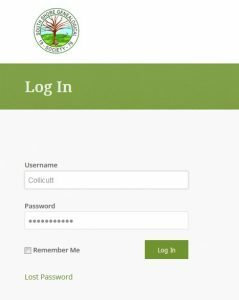 You’ll be returned to the Log In page where you can now enter your username (or email) plus your new password to access the member content. An email confirmation will also be sent to confirm your change.